Jerry Davis has recently completed a 26-year career as the President and CEO of the Goodwill Central Texas (Austin) and earlier the Goodwill Industries of the Sandusky Bay Area (Sandusky, Ohio). Standout achievements at the Goodwill Central Texas include its internationally recognized electronic reuse and recycling operation, Dell Reconnect; the Goodwill Excel CenterAdult High School; the Goodwill Career and Training Academy; and developing the exceptional leadership teams and staff to operate these and other broad ranging social enterprises with people marginalized by their background. During his tenure with Goodwill Central Texas the organization grew from a $16M operation with 10 stores to a $100M organization with 35 retail stores, distribution centers and collaborative mission services with many compatible nonprofits/businesses/government/educational bodies throughout its territory. Prior to that time he spent 13 years in medical rehabilitation, ranging from vice president in a freestanding hospital, as an accreditation surveyor, and an associate professor in a medical college. He is most proud of teaching a little girl who lost her fingers in a fire to use a pair of orthotic hands, developed by a inventor friend. Davis has been recognized as CEO of the Year (Austin Business Journal), Entrepreneur of the Year (Ernst and Young), the Individual Award for Ethics in Business (Samaritan Center), and the Kenneth K. King Award for Executive Excellence (Goodwill Industries International). 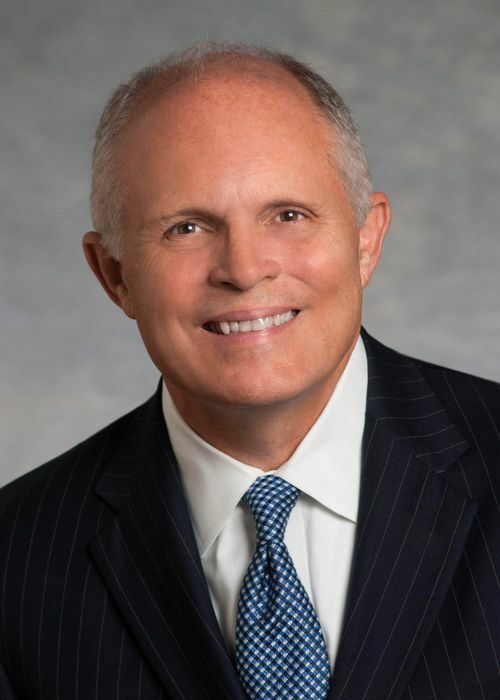 He has chaired the Goodwill Industries International Board, Rockville, MD), University Federal Credit Union Board (Austin), Workability International Board, and served on the Greater Austin Chamber of Commerce, the Community Advancement Network, and the Austin Area Research Organization. Davis is continuing his career through executive coaching, public speaking, public/private/nonprofit board service, and partnering in a very interesting start-up. He enjoys travel, triathlon, reading, landscaping, soccer, The Ohio State University football, and being married to Theresa since 1980. His two Texas-raised sons have married Texas-women and blessed him with four Texan grandchildren.